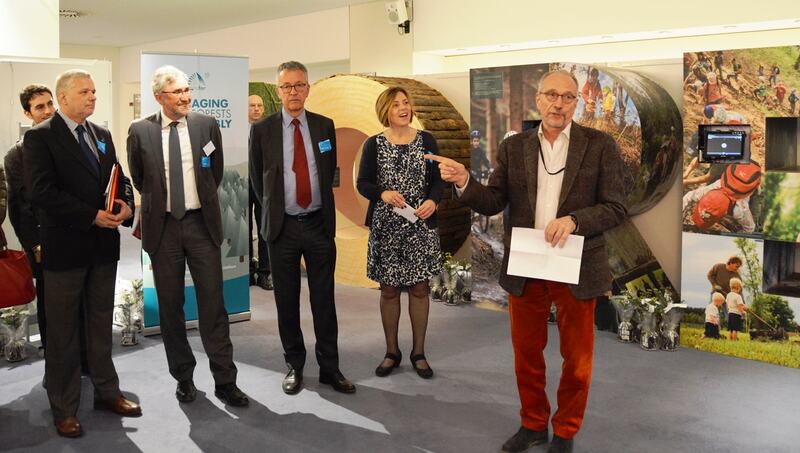 The opening of the state forests exhibition in the European Parliament, by MEP Nils Torvalds (ALDE/Finland), took place on 5 April 2016, as part of a series of events which took place on the occasion of EUSTAFORS’s 10th anniversary of cooperation among state forest organizations at European level. MEP Nils Torvalds gave a very personal opening statement. “For me,” he said, “the forest is a source of tranquility, joy and revival – a place to relax and to enjoy. In any case, the forest touches us in many ways, also in ways which we might not understand.” He went on to highlight that European forests offer not only environmental or economic benefits, but also have positive social values. It is the practice of sustainable forest management that allows us to benefit from these three very different aspects of European forests. 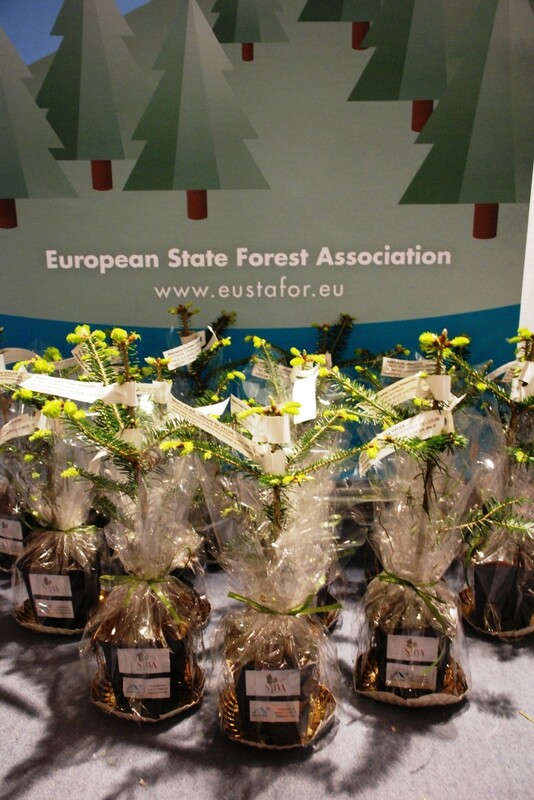 Per-Olof Wedin, EUSTAFOR’s President, thanked those EUSTAFOR members who contributed the exhibits – Poland State Forests, Latvijas valsts Meži (Latvia) and the Bavarian State Forest Enterprise (Germany) – and emphasized that the “European state forests are proud to show the practical side of how we manage state forests responsibly for people, climate and nature.” The exhibits presented all the different aspects of sustainable and multifunctional forest management in European state forests, including the contribution of Europe’s forests towards climate change mitigation.